Length Info: A Workshop with a duration of 60 minutes will be presented to each class in the grade. Programming includes live animals; please obtain any necessary authorization. Materials Arts Provider Provides: Sculpting material, plastic cutlery for shaping, live animals and recipe for sculpting material. Space and/or Set Up Requirements for Program: • One location throughout the day is requested. This is to prevent moving of animals multiple times throughout the day. • Two 6-foot tables at head of room for introduction.• After introduction: If in a classroom, Animal Ambassador/s will be placed in the middle of each table, with students seated around the perimeter. •If in an open space, children can be seated on the floor in circles around the Animal Ambassado/sr (Animal Ambassador/s will be displayed in the middle of each circle, on the floor). Program Learning Objective: I can observe a live subject (an animal) and create a likeness with clay. I can work with clay to create what I see when I observe a live subject (an animal). I can define the term "adaptation." I can describe how certain animals use their external body parts to survive in their habitat. I can describe how certain animals participate in seed dispersal. I can define the term "life cycle." Program Description (Grade Level Program): Art meets science with three-dimensional animal sculpture! With live Animal Ambassadors, students will learn how to produce representations of natural forms in three dimensions. An introduction will include a discussion of the scientific concepts related to each animal: adaptations, habitats, ecosystems, structure, function and/or senses and will explore how we can interpret these with sculpture. Students will have the opportunity to observe live animals and to shape a likeness using height, width and depth, while focusing upon one or more scientific attributes (classification, adaptation, habitat or senses) which enable the animal to survive in its natural habitat. 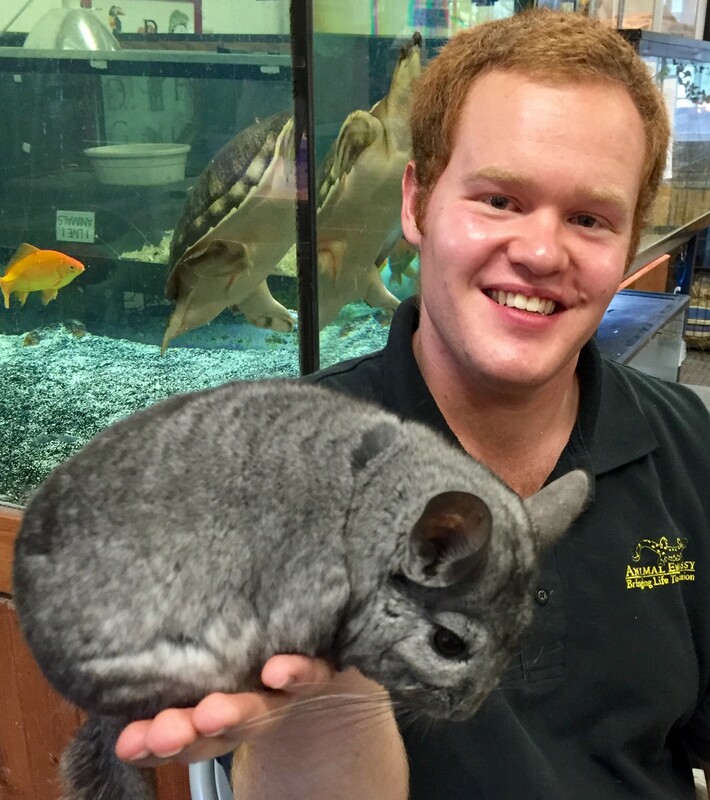 Animal Ambassadors will include animals such as a South American Chinchilla, a Guatemalan Milk Snake, a Domestic Rabbit, an African Hedgehog, a large Green Iguana, a Monk Parakeet, an African Sulcata Tortoise or Red-Foot Tortoise, an African Bullfrog or a Whites Tree Frog. With younger students, we will focus upon the shape of the live animal and children will sculpt a likeness. For example, we will focus upon the body, head and limbs and represent each in the sculpture. Older students will be provided with information about the musculature of the live animal, its movement, and articulation of limbs. We will discuss how appendages are joined to the body and how we can visually interpret movement, as well as how the appendages are attached to allow for movement, i.e. sculpt the animal to represent it in movement, show neck muscles and how they help to articulate movement. Animal Ambassador "models" will be exhibited, with students seated around them for the sculpting portion of the program. At the outset of the program, expectations will be provided by the educator so that students can self-regulate throughout. They will also have the opportunity to collaborate with each other as they sculpt, with discussion of their ideas and interpretations. Students will be permitted to keep the animal sculpture they have created. Animal Embassy will provide a copy of a "recipe" for making sculpting material so that teachers can make this with students, or students can make the material at home with their families. Additional Notes: Please note that we travel from Stamford, CT (1.5-2 hours). We request that any changes or modifications in timing, or inclement weather advisories, be submitted as far in advance as possible. • Reinforce the message that while some might think an animal’s appearance is “gross” or “disgusting,” animals are the way that they are for a reason. Unique characteristics and adaptations allow an animal to survive. Help the children to understand that there is factual information about animals (and all living things), rather than opinions, which are subjective. They will learn some of these important facts during our program. • Use the sculptures made by students for an art exhibition. Invite other grades and/or parents. Students can create accompanying “signage” that expresses the concepts and message that they have learned in our programming, relating to each animal sculpture as well as to the natural world. Augment the exhibition with student drawings, pictures or clips from magazines that represent animals or the habitats they have learned about. • Using the sculptures made during the program, provide paints & brushes and accessories for students to decorate and embellish their sculpture. • Make sculpting “dough” in class using the recipe provided by the Animal Embassy educator. Use the dough to sculpt forms for a diorama, i.e. a cactus for a desert habitat, trees for a rainforest habitat. Students can then include the animal they have sculpted into the diorama which corresponds with the animal’s natural habitat. • Create a “Conservation Campaign” with student-created posters about wildlife or the environment, including factual information regarding some of the animals they have met during our program. Express ideas and messages about deforestation, litter, pollution and what we can do to preserve the environment, i.e. “Turn of the lights when you leave the room;” “Don’t take a shower for an hour.” Hang the posters in the classroom and throughout the school to help educate all students. 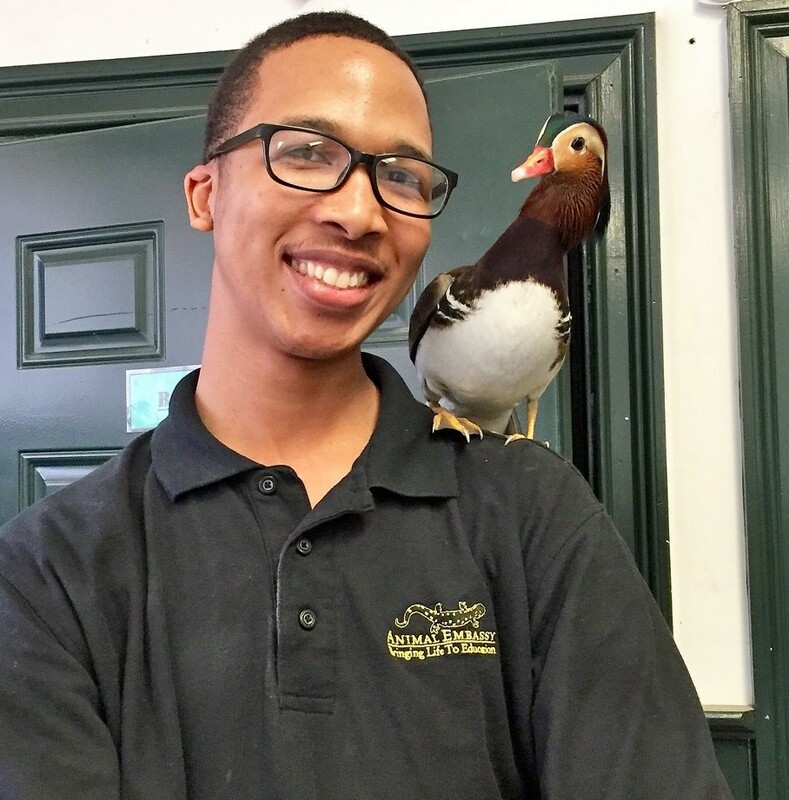 Help students to appreciate the similarities and differences among members of the natural world, both human and animal; help others to learn the message as presented in our program. Parent Engagement Opportunities: Assistance with unloading & loading. Assistance with distribution of materials. One or two caregivers can be involved. Kindergarten: Interdependent Relationships in Ecosystems: Animals, Plants, and Their Environment: K-ESS3-1. Use a model to represent the relationship between the needs of different plants or animals (including humans) and the places they live. DCI: Living things need water, air, and resources from the land, and they live in places that have the things they need. Humans use natural resources for everything they do. Grade K: Visual Arts: Creativity: Anchor Standard 1: Generate and conceptualize artistic ideas and work. 1.Ka Engage in exploration and imaginative play with materials. 2.Ka Engage collaboratively in creative art-making in response to an artistic problem. Grade 1: Structure, Function, and Information Processing: 1-LS1-1. Use materials to design a solution to a human problem by mimicking how plants and/or animals use their external parts to help them survive, grow, and meet their needs. DCI: All organisms have external parts. Different animals use their body parts in different ways to see, hear, grasp objects, protect themselves, move from place to place, and seek, find, and take in food, water and air. Plants also have different parts (roots, stems, leaves, flowers, fruits) that help them survive and grow. Grade 1: Visual Arts: Creativity: Anchor Standard 1: Generate and conceptualize artistic ideas and work. 1.1a Engage collaboratively in exploration and imaginative play with materials. 2.1a Use observation and investigation in preparation for making a work of art. Grade 2: Interdependent Relationships in Ecosystems: 2-LS2-2. Develop a simple model that mimics the function of an animal in dispersing seeds or pollinating plants. DCI: Plants depend on animals for pollination or to move their seeds around. Grade 2: Visual Arts: Creativity: Anchor Standard 1: Generate and conceptualize artistic ideas and work. 1.2a Brainstorm collaboratively multiple approaches to an art or design problem 2.2a Make art or design with various materials and tools to explore personal interests, questions, and curiosity. Grade 3: Inheritance and Variation of Traits: Life Cycles and Traits: 3-LS1-1. Develop models to describe that organisms have unique and diverse life cycles but all have in common birth, growth, reproduction, and death. DCI: Reproduction is essential to the continued existence of every kind of organism. Plants and animals have unique and diverse life cycles. Grade 3: Visual Arts: Creativity: Anchor Standard 1: Generate and conceptualize artistic ideas and work. 1.3a Elaborate on an imaginative idea. 2.3a Apply knowledge of available resources, tools, and technologies to investigate personal ideas through the art-making process.